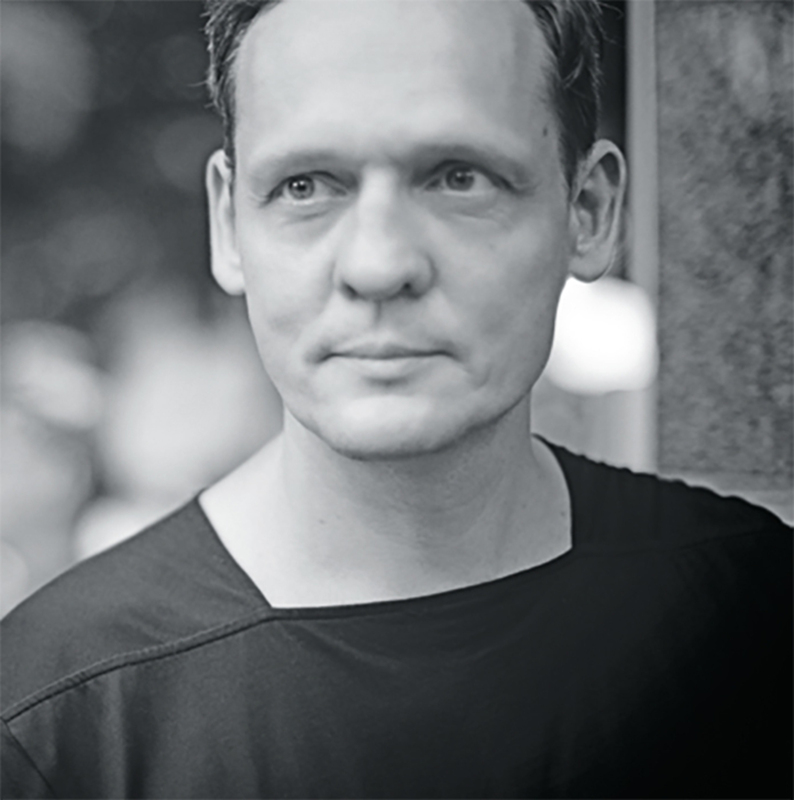 Carsten Nicolai is an artist based in Berlin who works in music, visual art, and science. He has participated in major international exhibitions such as Documenta 10 and the 49th and 50th Venice Biennales, and his works have been shown worldwide in solo and group exhibitions. Under the pseudonym Alva Noto, Nicolai co-scored Alejandro González Iñárritu’s latest film, The Revenant (2015). 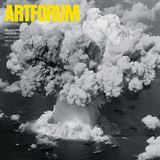 Globalization has created a numbingly uniform art worldit’s like arriving at the same duty-free perfume store over and over, thousands of miles apart. So I find myself increasingly drawn toward less official spaces and monuments off the beaten path. Those I have visited in the past year include this island, where I encountered the Dardanella, a boat used by the Austrian art foundation Thyssen-Bornemisza Art Contemporary (TBA21). 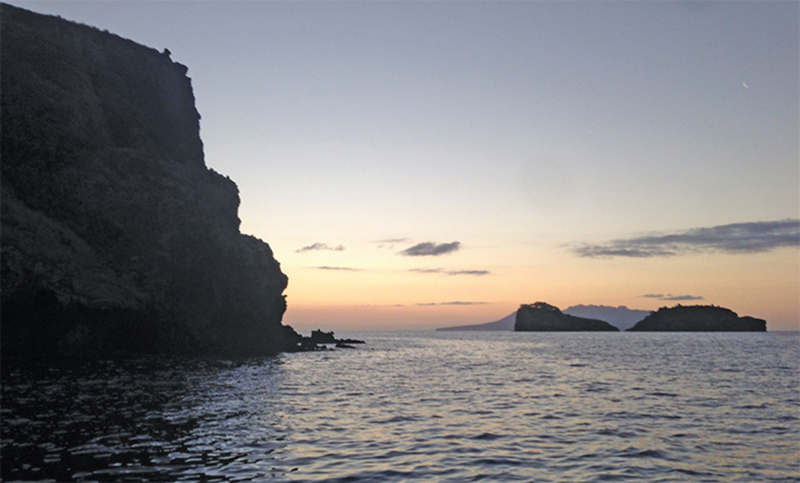 In January 2015 it was anchored at the northern part of the island, where I traveled after completing a project in Tokyo. I have some beautiful memories of this experiencefor example, making underwater recordings of things totally unknown and mysterious. But most impressive was the sheer power of the ocean day and night, which left me with a simultaneous feeling of remoteness and yet deep connectivity. Great Barrier Island, New Zealand. Photo: Carsten Nicolai. Built in 1963 as part of King Norodom Sihanouk’s postcolonial modernizing regime, this is one of many structures in a Le Corbusier–inspired utopian cultural district, Front du Bassac, which was conceived by a team that included the iconic Cambodian architect Vann Molyvann. Intended to provide affordable urban housing, the compound encompassed almost five hundred dwelling units surrounded by exhibition halls and a new national theater. The development was successful at the time, but was emptied in the late 1970s under the Khmer Rouge, and eventually resettled by surviving artists in the ’80s. Today, the reinforced-concrete and brick structure is badly run-down and seen as a slum by outsiders, but it is actually a vibrant community, housing more than twenty-five hundred residents. The building’s open stairwells and rooftop serve as particularly effective social spaces, manifestations of the vitality that modernist architecture always sought. After working with my friend Kostas Murkudis on one of his fashion shows, we visited the Duomo in Milan, where I met Saint Bartholomew in his own skin. D’Agrate’s incredible Renaissance sculpture is an anatomically detailed rendering of the saintwho was thought to have been flayed alivewith his own skin wrapped around his body like a robe. Beneath this morbid cadaver the artist inscribed not just his signature but a pithy meditation on the continuity of tradition and a sly joke: I WAS NOT MADE BY PRAXITELES BUT BY MARCO D’AGRATE. Marco d’Agrate, Saint Bartholomew Flayed, 1562, marble. Installation view, Duomo, Milan. Photo: Frank Schulenburg/Wikicommons. I’ve always been fascinated by the formal complexity of Islamic architecture, which seems to reveal a cosmology of fractal geometry embedded in a system of belief. The interiors of some mosques, like parts of Istanbul’s Yeni Cami (New Mosque), remind me of the sound-absorbing surfaces of anechoic chambers. While the latter provide the experience of sensory deprivation, and the mosque one of sensory overload, both seem openphysically and conceptuallyto notions of the void and the infinite. 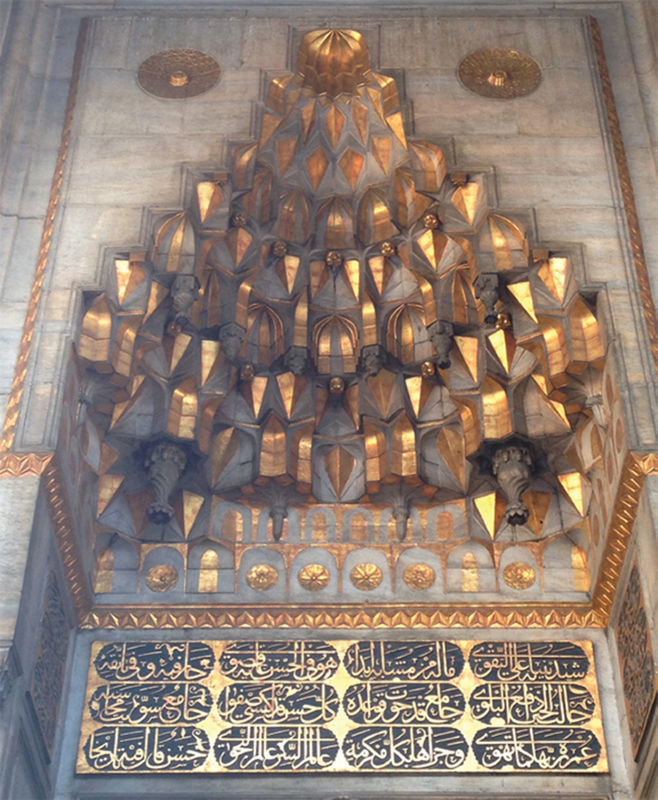 Interior detail of Yeni Cami, 1665, Istanbul. Photo: Carsten Nicolai. Piccolo Mondo began as a small gallery in 1963 and evolved into a proper club, nicknamed El Souk by regular Peggy Guggenheim. In May 2015, when my brother Olaf rented the space and invited me to DJ in honor of his participation in the Biennale’s German pavilion, the club’s glory days were far behind it, but we still had a memorable night of dancing and reflection. In January 1961, Che Guevara suggested to Fidel Castro that Havana’s formerly exclusive Country Club Park should become the site of a complex of tuition-free art schools to serve talented young artists. 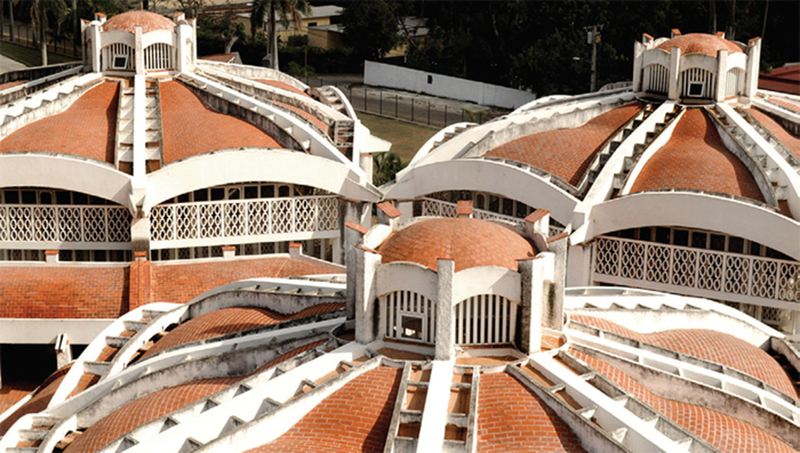 Architects Ricardo Porro, Roberto Gottardi, and Vittorio Garatti were given the commission. Their designs utterly refused the International Style and its capitalist associations, as reflected by their use of locally sourced materials and their expression of revolutionary political ideologies through new organic forms. When I visited, I found a beautiful idea combined with incredible architecture. Viva la revolución! Ricardo Porro, Escuela de Danza Moderna at the Escuelas Nacionales de Arte, 1965, Havana. Photo: Corbin Keech/Flickr. During the 2011 Tōhoku earthquake and tsunami, more than three thousand residents of Ishinomaki lost their lives and some thirty thousand lost their homes. During my visit last summer, I was able to go to the only remaining building on a large property owned by one family for centuries, which has been converted into storage for the surviving artifacts of the family’s history. Meeting the owner and seeing his collection of personal stories, maps, records, and objects was profoundly moving. Somehow he harbored no bitterness about the tragedyhis eyes were warm and forward-looking. Joining Ryuichi Sakamoto and Bryce Dessner to score Alejandro González Iñárritu’s The Revenant was one of the best and most intense experiences of my life. For eight weeks we hid in a studio that I called the bunker, working on a movie whose brutality and beauty gave me a new appreciation for the details that give lightness to life. One of these was the sound of our director arriving each morning on his Vespa. 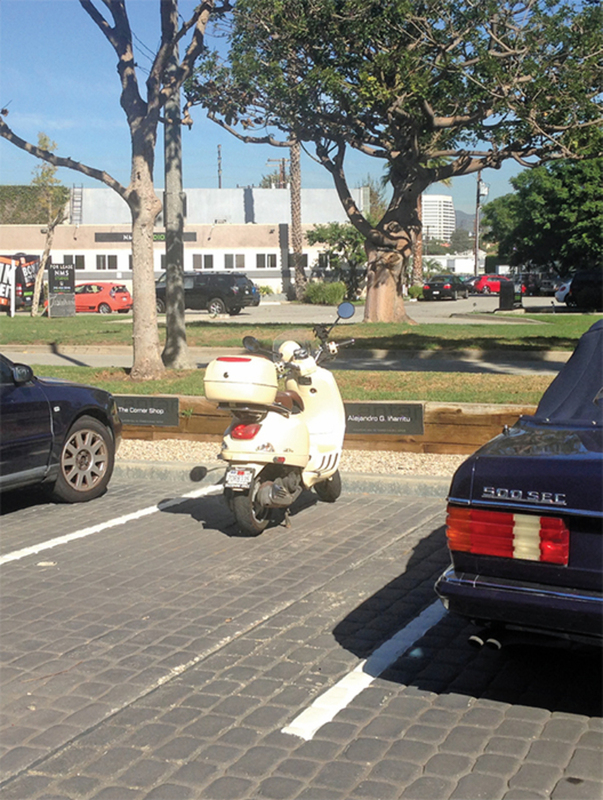 Alejandro González Iñárritu’s Vespa, Hollywood, 2015. Photo: Carsten Nicolai. 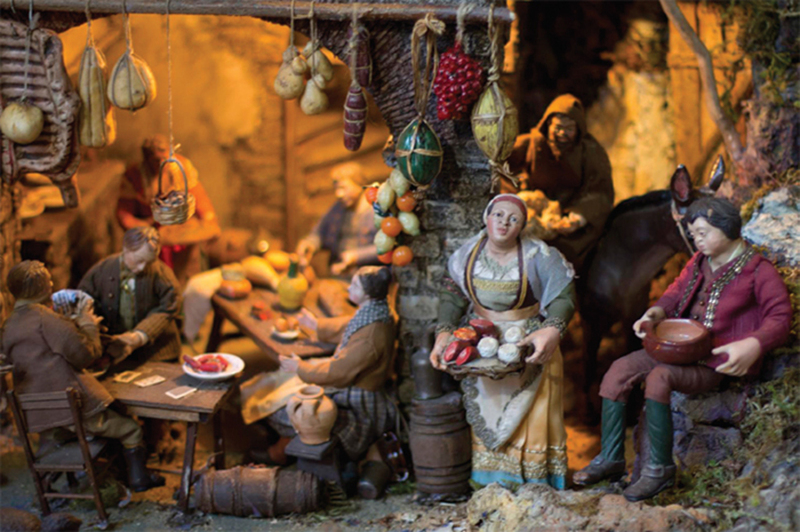 Thousands of miniatures are available in the markets of Naples during Christmastime. When I went last winter, I realized that while the nativity scenes are supposedly centered on the biblical story, they are equally dioramas of everyday life. Figurines of ordinary people doing ordinary activities actually outnumber the religious characters, allowing everyone to create their own little model of the world. Neapolitan nativity scene, Sorrento, Italy, 2010. Photo: Royal Olive/Flickr. One of my favorite gardens in Kyoto is located on the north side of the city, in a temple on top of a hill overlooking the valley. The first time I went to this garden, I was puzzled by its hyperspecific, idiosyncratic orderfor example, the odd numbers of azalea rows. Spending more time there this past December, I felt that I could begin to see an invisible connection between the composition of the garden and the spirit of its natural surroundings, from the neighboring hills to the moon that rises in the early evening. 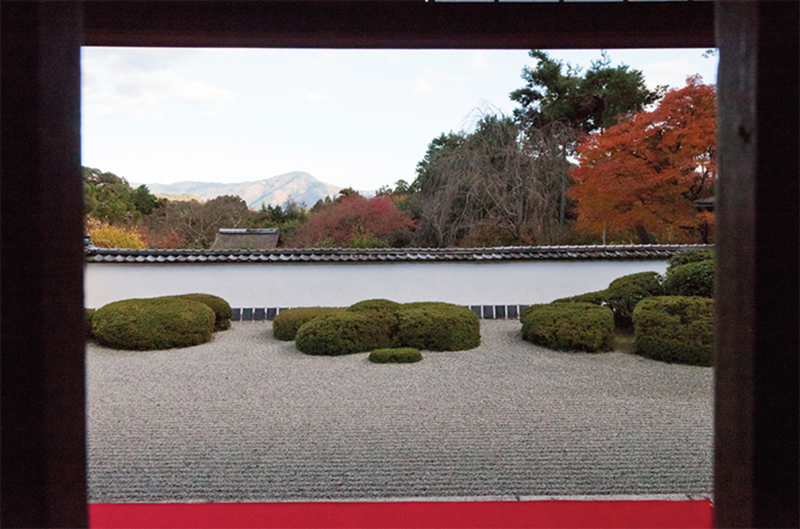 The garden is an observatory in perfect balance, and its walls are not its boundaries. Gardens of Shoden-ji Temple, 1282, Kyoto. Photo: Carsten Nicolai.